There is serious concern over the increasing number of suicide cases at the country’s institutions of higher learning with experts calling for strong counselling programmes to assist troubled students. Of the 10 university students who have died during the course of this year, four were a result of suicide. A few weeks ago, a pregnant National University of Science and Technology (Nust) student Blessings Mangena committed suicide by throwing herself in front of a moving train after she was impregnated by a man who was not her boyfriend. In another case, a second year student at the same university was in September found hanging in his hostel in a suspected case of suicide. Students who had lived with him said he never showed any signs of distress. At the Midlands State University, a final year local government student Walter Temera also killed himself two weeks ago after reportedly finding his girlfriend sleeping with his lecturer. A psychiatrist, Sacrifice Chirisa, said the biggest cause of suicide is depression characterised by low mood, low energy, low interest, low concentration and repeated thoughts of death. He said university students are always under pressure and their institutions should always ensure they access psycho-social services. “Suicide is associated with self-guilt, worthlessness and hopelessness. 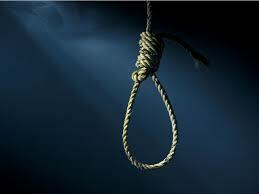 When one reaches hopelessness, suicide is seen as a way of escape of a situation one cannot tolerate,” said Chirisa. “University students are under immense pressure from parents, lecturers, peers and the community. Some people are still young and it’s their first time to be independent, so they are under too much pressure”. “The solution is to have courses on this taught to every student. Allow students to defer studies and focus on their health without losing their place at the university,” Chirisa said. Social analyst Rebecca Chisamba, popularly known as Mai Chisamba, said it is disheartening to have students take their own lives when their parents are working hard to make sure they have a bright future. She said parents, tertiary institutions and communities at large should make their children understand that every problem has a solution and is not worth dying for. “I don’t know what is happening to our children today. They are acting like Judas Iscariot of the Bible. We should, however, make them understand that whatever troubles they are going through, suicide is not the way out. They should talk about their problems. “Counselling is very powerful. The country is going through a lot at the moment and many people are faced with different challenges. We should hold on and be strong because all this will come to pass. Likewise, our children should understand, committing suicide is mean and selfish. Their parents work hard to give them a better life and they cut it short just like that,” Chisamba said. The television personality said she believes those who commit suicide will be under the influence of drugs. She urged students to think about their loved ones before they commit such a selfish act. “Before you consider committing suicide think about your family, your friends and your country as a whole. They will be left traumatised. No one should succumb to suicide … Every problem has a solution that isn’t suicide. “I urge universities to strengthen their counselling programmes and as parents, we should encourage our children to go for counselling,” she added. Zimbabwe National Students Union (Zinasu) president Archbold Madida expressed concern over the trend, saying the fact that four of the 10 students’ deaths were a result of suicide goes a long way in showing the need to fight depression. “As Zinasu, it will be a great thing if we encouraged each member to be everyone’s friend and constantly check on each student in a bid to avert the loss of life to depression,” Madida said. Nust’s Student Representative Committee vice president Billy Machipisa said while they are always encouraged to go to the campus clinic to seek help when they are experiencing depression and mood disorders, they hardly share their problems and console each other since students are always preoccupied with their studies. “The current situation here is quite alarming. We have clubs which particularly deal with the psycho-social needs of a student such as Nust Sisterhood, Young Life among others. “The university also has a clinic and nurses always ask students who have depression and mood disorders to go to the clinic for assistance. As students, we must utilise these services. However, more still needs to be done to make these services more visible to students in need. “We must have aggressive focus groups that will visit students in each and every lecture reminding them that life is a constant wheel nothing remains the same, if ever you need someone to talk, we are here for you,” Machipisa said. Families have always struggled to come to terms with the tragic and sudden loss of their loved ones through suicide. For instance, three years after 25-year-old Tapfuma Sezi took his own life by drinking a poisonous substance suspected to be cyanide at Nust where he was a final year Chemistry student, the family is still searching for answers to their many questions. “He was a very intelligent child. He got eight As and one B at “O” Level and 15 points in Mathematics, Physical Science and Chemistry at “A” Level.